To copy a workout, click on the box at the top of a workout. A menu will appear at the bottom of the screen. To copy the workout you can either click the Copy Workout icon or use the keyboard shortcut Command + C.
To paste a workout, select a day and click Paste Workout(s). 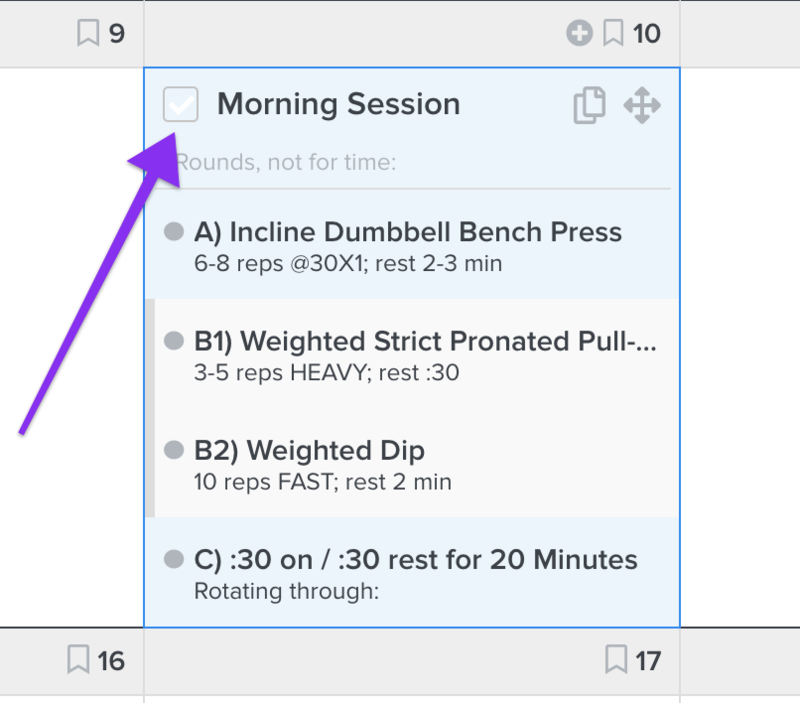 To paste a second workout to a day, click the ➕ icon. To copy multiple workouts, hover over a single workout and click the checkbox in the top left corner. Once you've selected one workout you can begin selecting multiple workouts (shown above). You can select each box individually, or you can hold shift and select a range of workouts to copy. 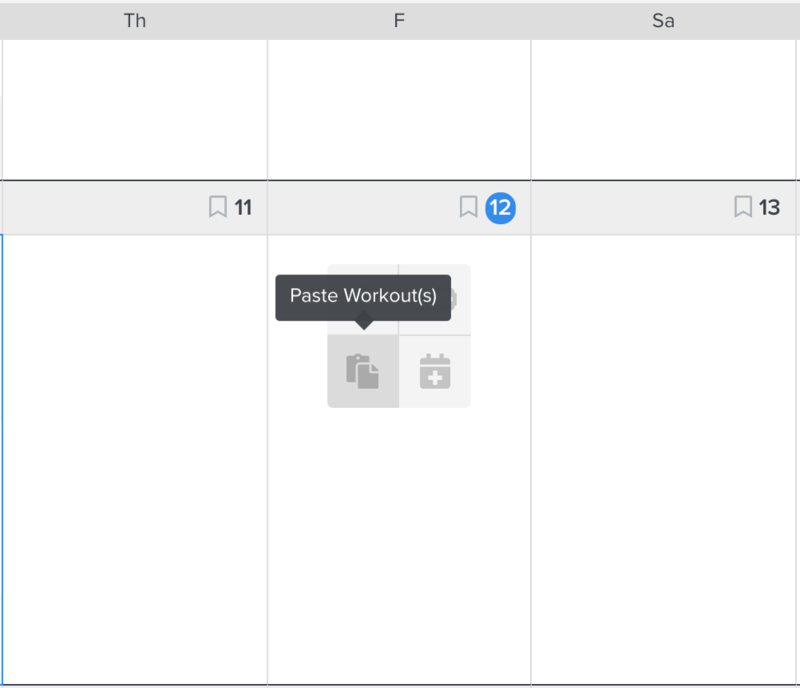 To paste multiple workouts, select the day in which the first workout should be pasted and click the Paste Workout(s) icon. 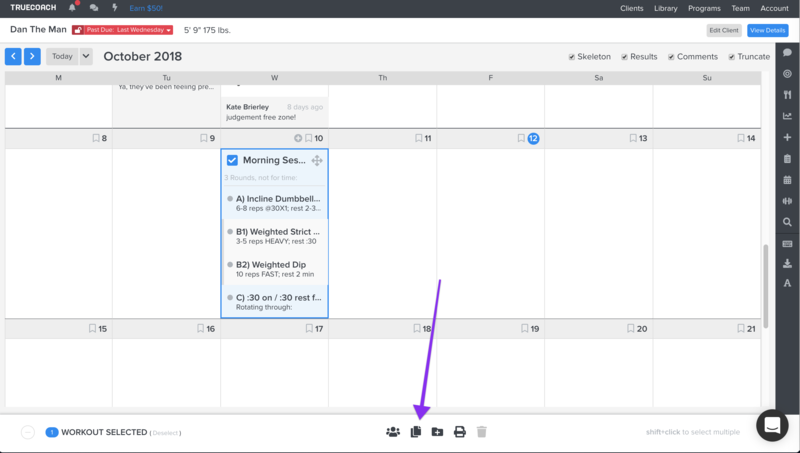 To copy and paste between multiple clients simply copy your workouts, navigate to a different client, and paste the workouts using the Paste Workout(s) icon. The copy and paste feature is universal throughout TrueCoach. You can copy from one client to another, from a program to a client, or from a client to a program.